It’s well worth reading if you know anyone banking on sports betting windfall. The PGA Tour has largely positioned their interest on fan engagement via fantasy leagues and the mobile experience, so the early struggles with sports books as outlined by Williams may pertain less to golf. Then again, if legalization only happens in a few states, that will slow the inclusion of any expansion on any platform. While we await the bizarre new format to decide the FedExCup and then await its replacement, your prayers and thoughts have helped deliver precious official world ranking points to the field after a policy board approval. I’m not sure anything is less interesting to the golf fan than world ranking points, but to the players it can be the difference between a nice guarantee at the season’s start, a place in majors or endorsement bonuses. I’m pretty sure fans would be more intrigued by the endorsement contract ramifications than the FedExCup leaderboard. Rossi, if Justin makes birdie here, he’ll finish T14, putting him over the edge for that $125,000 Bonobos bonus for finishing the season world No. 1. What’s he got? "Money driving PGA Tour gravy train"
Part 1 of Ron Green Jr.’s eventual two-parter looking at sports betting coming to golf is worth checking out to understand what the PGA Tour has in mind. Of that estimated $150 billion wagered, approximately 2 percent – $3 billion – is bet on golf. Monahan said making money off legalized sports betting is not the main reason the PGA Tour is invested in what will be a new world order. 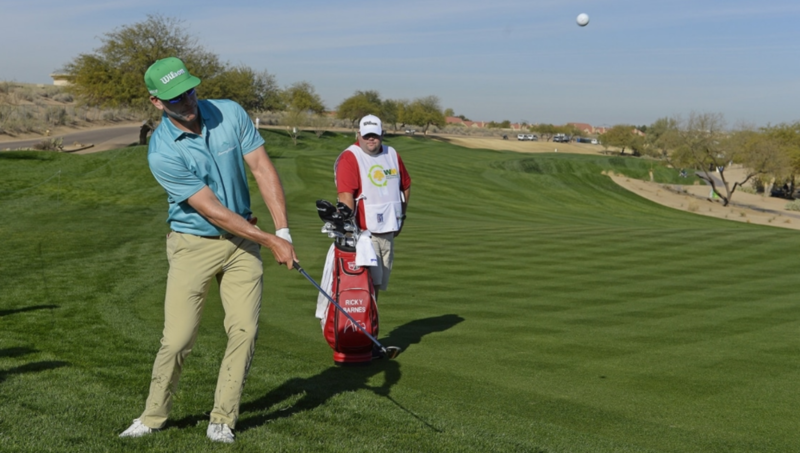 The hope is to get one-quarter of 1 percent of the money wagered on the PGA Tour. That’s approximately $7.5 million annually if the estimates of what’s being bet are accurate. That seems like a modest goal and modest amount given how the Tour has invested in various programs in anticipation of legalized sports gambling. Hardly a gravy train, but maybe this is the most conservative estimate? “What that’s going to do is give fans the ability to not only bet on the winner and the low score of the day but you’re going to be able to bet much more granularly,” Levinson said. “You’re going to be able to bet shot by shot. You’re going to have a situation where fans are going to be locked in and engaged throughout the competition. It’s going to be a fun way to bet. Levinson is one of the tour’s sharpest minds, so I trust that he’s seeing things to make them believe shot-by-shot betting will be fun and functional. ”opportunity” and making the bet option fun and fast. Congrats to the former Wave, Walker Cupper and all-around nice fellow Jason Gore on accepting the unenviable task of listening to pro golfers gripe about course setups and the rules they haven’t read. LIBERTY CORNER, N.J. (Mar. 22, 2019) – Following an extensive search, the USGA has appointed longtime PGA Tour player and four-time U.S. Open competitor Jason Gore as its first senior director, Player Relations. The appointment launches a comprehensive program aimed at sharing information and strengthening engagement with players in areas of importance to the USGA. These include initiatives to grow and advance the game, research critical to the game’s health, and continuing to incorporate the players' perspective in its work to advance the sport. Gore’s primary role will be to interact with professional and elite amateur players across the game, particularly focusing on competitors in the USGA’s Open and amateur championships. He will lead a team of full-time staff dedicated to player relations, including Liz Fradkin, who assumed her player relations role last fall. Previously the manager of the USGA’s Curtis Cup Team and a member of the U.S. Women’s Amateur staff, Fradkin has already been a fixture at several LPGA Tour events. They will be joined by Robert Zalzneck and Ali Kicklighter, who will manage USGA player services with an emphasis on onsite services at the USGA’s four Open championships. Gary Van Sickle at MorningRead.com explains how the Valspar Championship managed decent star power despite a tough post-Players date, with 37 top 100 players, including Dustin Johnson. Johnson played only 20 tournaments in the 2017-18 season. So, he owed the PGA Tour an appearance at an event that he doesn’t regularly play. Johnson chose the Valspar Championship. Johnson nearly avoided the Valspar on a technicality. When he won in Mexico, it was the 20th victory of his career. Twenty is the threshold to become a PGA Tour life member, and the strength-of-field rule doesn’t apply to life members, or to players 45 or older. The timing coincided nicely with Valspar announcing a sponsorship extension through 2025. Included is a better date next year. USGA Hiring A Tour Liaison? The USGA is in the final stages of making a hire for a new and senior employee who will oversee and seek to improve the USGA’s relationship with the PGA Tour and the LPGA. A guess is that if you are reading this you will know the person’s name when it is revealed, which should happen well before the Masters. GolfChannel.com’s Rex Hoggard filed a broader look at gambling in sports and the various issues that may arise for a sport that has always enjoyed a peculiar relationship with wagering. Increasingly, a sport viewed as gambling friendly is beginning to anticipate issues, including one that arose at Bay Hill when Jason Day WD’d mid-first round. Turns out, he had an MRI last week on his back. As Hoggard notes in another item, this is information that bettors would love to have known. More problematic for the pro golf tours, it’s information that others on the inside might have known and capitalized on. Some players understand but may others, who don’t even want to talk about a swing change, do not like the possibility. Kisner’s blunt assessment likely reflects a majority of opinions on Tour. There are plenty of variables players must account for on a weekly basis just to keep their cards, let alone worry about the ones that impact gamblers who may never step foot on the course. But as sports gambling becomes more prevalent, the scrutiny surrounding player injury status will only increase. As with so many grey areas in golf, injuries or illness certainly do make for an intriguing discussion. We all know you have to be wary of the sick golfer, and nagging things can be problematic. But in the case of Day, an MRI would suggest something far more serious and will be information bettors will expect to know. Yet if the reaction of players is similar to that of Kisner’s—understandable given the independent contractor status of pro golfers—then Jay Monahan’s job has gotten a lot more difficult in the sports betting era. Monahan: Need To "Make Certain Our Players Give Us Constructive Feedback"
AP’s Doug Ferguson looks at the bad look all round for golf with players and governing bodies squabbling over the rules. Though as he notes, the USGA’s mistaken Tweet trolling of Justin Thomas at least prompted PGA Tour Commissioner Jay Monahan to finally intervene. Monahan says USGA chief executive Mike Davis left him a message saying he would call Thomas to apologize. On Tuesday, the USGA corrected itself with another tweet - lacking an apology - saying that Thomas did not cancel any meeting or dodge any discussion and that it valued all the players' opinions. So maybe the USGA deserves some credit. If not for the original tweet, odds are Monahan would not have sent the memo to players. The message still needed to be delivered. "It was important to remind the membership of the role we play, how important their voices are and to continue to make certain our players give us constructive feedback we need to have a proper discussion with the governing bodies," Monahan said Tuesday at Bay Hill. Vijay Singh nearly raised the average age of 2018-19 PGA Tour winners into the mid-30s with a Honda Classic run at age 56. But it was Keith Mitchell who prevailed over Brooks Koepka and Rickie Fowler to win the 2019 playing. At 27, Mitchell lowered the 2018-19 average age winner on the PGA Tour to 32.3. In 2019, the average age of winners through the Honda is 33.6. So while the average age of PGA Tour players has been going down, winning still seems to be reserved largely for those with a bit more seasoning. It’s something to remember in the rush to push players into professional golf at younger ages or when some question why players under 30 why they didn’t win. I was pleased to see that the move to shorts in practice and pro-am rounds (A) came after resistance from Commissioner Jay Monahan and (B) for the utterly moronic rationale that players will be more relatable to pro-am participants. I have an idea! How about we just handcuff them, poor lemon drops in their eyes and spin them around on every tee shot so they shoot 95, whine excessively and make fools of themselves? That should bring these flatbellies down even more! At least we are all in agreement that shorts concept validates the theory this look only dent the image and look of the professional golfer. According to Horschel it was input from various sponsors that ultimately convinced the Tour to allow shorts. I can’t relate to drives carrying 320 yards. Maybe we should bring those back, too? While most fans will not feel much impact from the Genesis Open’s new “invitational status”, Tiger Woods has an opportunity to leave a special legacy with a few moves. He can use the example set by Jack Nicklaus and Arnold Palmer with their events, put his own twist on the Genesis, and give fans reason to believe last week’s announcement will have a profound impact on this historic PGA Tour stop. Last week when the new “invitational format was announced, I was a bit surprised to watch PGA Tour Commissioner Jay Monahan unable to answer a straightforward question about whether the 94-year-old Los Anglees “Open” would retain components of its original status in the form of Monday qualifying, a spot given to the local PGA section and an amateur spot of some kind. After the new invitational format was announced, I heard from many Angelenos wondering if it meant the end of Monday qualifying. The answer we got: TBD. And the name? Genesis Open is out, to be replaced by something clunky like Genesis Invitational, Genesis Classic or The Genesis. Tiger has the ability to attract star power like no one else in golf. Since the LA Open’s early days, stars have either been part of the week as spectators or the pro-am. This connection is an essential to distinguishing the Genesis Open going forward for marketing and atmospheric purposes. The new Celebrity Cup brought out A-listers from screen and sport, while the Wednesday pro-am played in lousy weather brought out fascinating names from sports, business and Hollywood. From a word-of-mouth point of view, the sight of big names early in the week helps attract local television and national media attention. From a fan point of view, seeing major names whapping it around Riviera gives the stop something no other tournament will enjoy. If you’ve ever been at Riviera’s 18th green when a large crowd has assembled, you know there is nothing remotely close in golf. A few thousand people can fit in a very small, shockingly vertical space and the atmosphere is electric. But there is also a tradition at the 18th green dating to the tournament’s early days as a popular place to sit and watch the players come to you. Some of that tradition was built on Scotty Chisholm’s back. For decades, the tournament co-founder would announce every group and their score as they came to the 18th in his trademark kilt. He even performed a modified version in Follow The Sun (1:25 in). I say bring back an 18th green announcer—Chris Harrison and Carson Daly are Tiger/Riviera friends—and get a modern video board situated so that fans can follow the action—there was just a small PGA Tour stock board in the trees 100 yards short of the green. The focus has clearly been on elaborate corporate structures that do look sensational, but the focus going forward should be on making the 18th green at Riviera one of golf’s most important places to be all week, but especially on Sunday. An announcer, a video board and some promotion as the February edition of the “Bowl” will work wonders for attracting even more fans. With two wins in 2019 and Tiger can return to Riviera next year looking to break Sam Snead’s record at a course where the all-time PGA Tour leader in victories won twice. It would also mean Tiger breaks the record at his event. Prioritizing player comfort, convenience and entitlement or maintaining a sense of gravitas, the PGA Tour will now allow players to wear shorts in practice rounds and pro-ams. Given that most of the players who’ve worn shorts have been lacking in the tanning and muscle department, I say let ‘em get their Vitamin D.
But if I were Commissioner, I’d point out that athletes in other sports are dressing better and rising up the Forbes list while golfers are dressing down and moving down the list of top-paid endorsers. The timing is also strange given that golf pant fashion has never been better in terms of fit, quality and look, with the performance pants worn by golfers appealing to non-golfers and giving off an athletic vibe. But hey, these big macho athletes want to be comfortable no matter how it looks. Tiger once famously embraced the policy even though he acknowledged it’s not his strongest physical attribute. "A lot of the tournaments are based right around the equator so we play in some of the hottest places on the planet," he said. "It would be nice to wear shorts. Even with my little chicken legs, I still would like to wear shorts." He resurfaces in Mexico City this week where daily highs in the 70s and 80s are forecast. BTW, do you think the tournament everyone wants to be like, everyone wants to go to and every player would donate a limb to win, will adopt this policy? The Forecaddie reports on the departure of PGA Tour Chief Marketing Officer Joe Arcuri, architect of the hellacious “Live Under Par” slogan that turns one next month. It seems Matt Kuchar is still not clear on the difference between the slogan and the tour’s streaming television product. Which about says all you need to know on many fronts.